One Sunday, while I was dreaming away in church, I noticed this jacket of a girl in front of me. 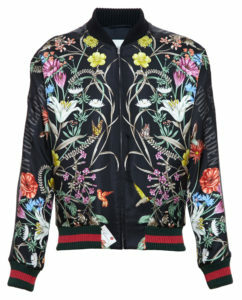 The (to me) Indonesian looking floral batik print stood out and I loved that this traditional fabric was used for a little bomber jacket. 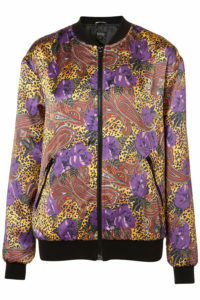 I love organic prints and I love bomber jackets. I wondered where she had found it and decided to ask her. I expected to hear the name of a store, Topshop or maybe Beacons Closet. But I didn’t expect to hear it actually once had belonged to her Malaysian grandpa. Another story on ‘clothing as heirloom’ was born. Outfit: white sneakers from Asos , black jeans from Zara, black top from Kathryn’s mom, little gold hoop earrings from mom as well. 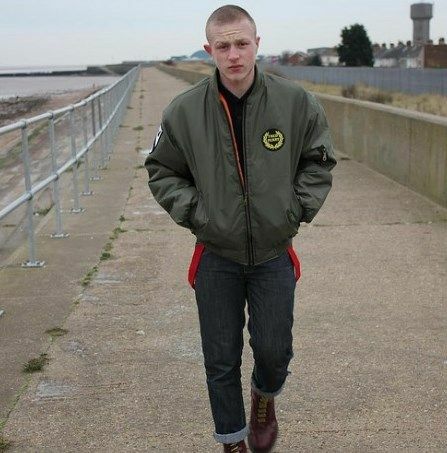 Where did you get this amazing bomber jacket from? Out of my mom’s closet! 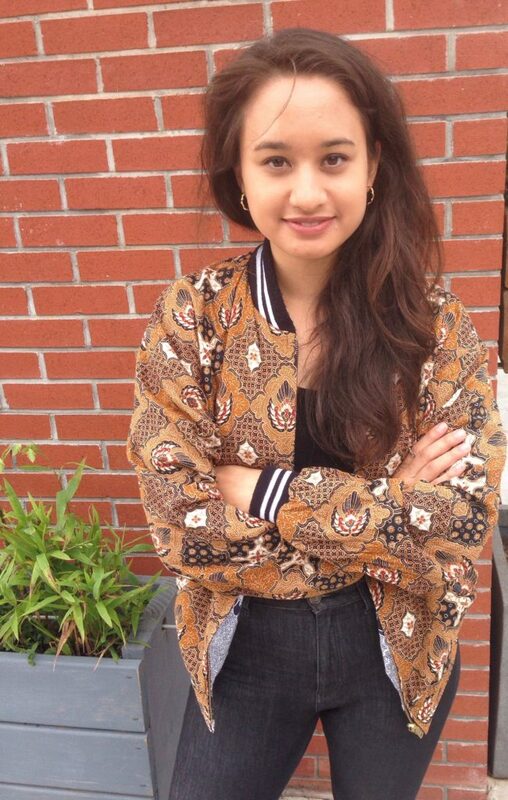 Last year, when I’d just come back from living in Singapore, I was going through her closet and saw this jacket. I tried it on and loved it! It looked like something I could have found in a thrift store. When my mom told me it belonged to her dad, my grandpa (‘Akong’) it was even more special. 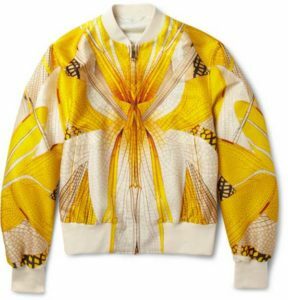 Does your mom remember your ‘akong’ wearing this jacket? She does, but she doesn’t think it was his go-to jacket. She must have had that jacket when she and my dad lived in Evanston, Ilinois, so I think since 1988. 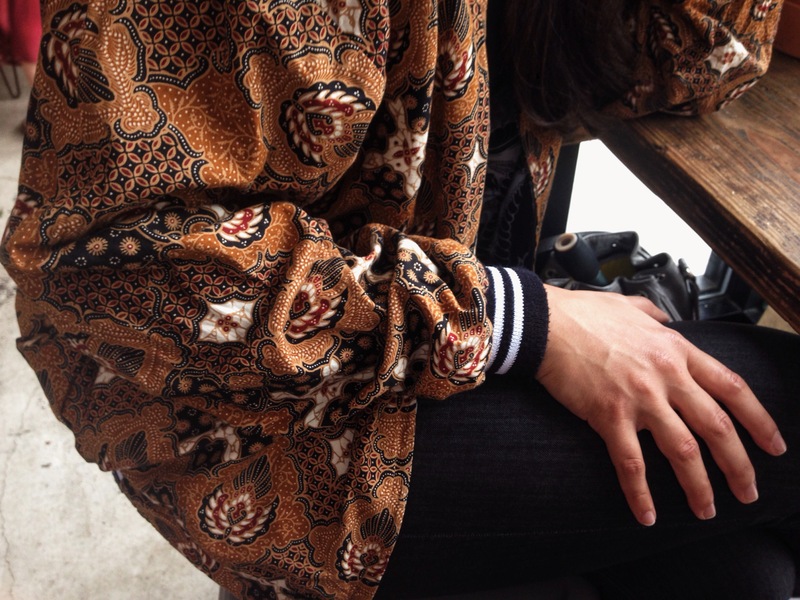 The jacket was probably given to him by one of his sisters in Malaysia who owned a batik and souvenir shop. Kathryn’s jacket is reversible. The inside has a beautiful blue and white batik print. 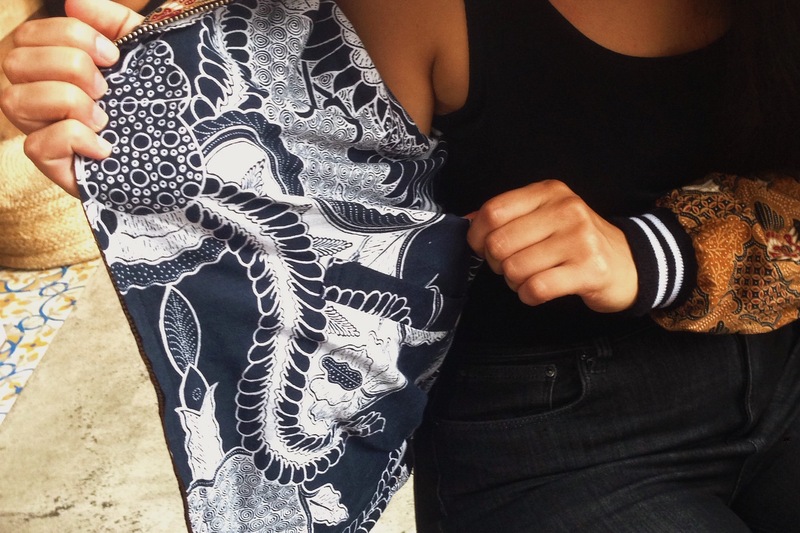 The word batik originates from the Javanese tik and means to dot. To make a batik, selected areas of the cloth are blocked out by brushing or drawing hot wax over them, and the cloth is then dyed. The parts covered in wax resist the dye and remain the original color. Can you tell us a little more about your ‘Akong’? Akong was born in 1926 in Malaysia. He’s kind of a legend in our family. He was part of the resistance movement during the Japanese Occupation (1942-1945). He was probably 17-18 years old at that time, still living in Malaysia. He was supposedly a very fast runner, so he helped carry messages to the various hideouts of the guerrilla fighters. The underground movement made up of various anti-Japanese forces and the British colonial government. When he was a teenager he snuck into Singapore on the back of a pig truck. He tried to go to Australia but it didn’t work out. He then started working for a bank and worked his way up in and eventually went on business trips to America. He’s kind of a legend in our family. 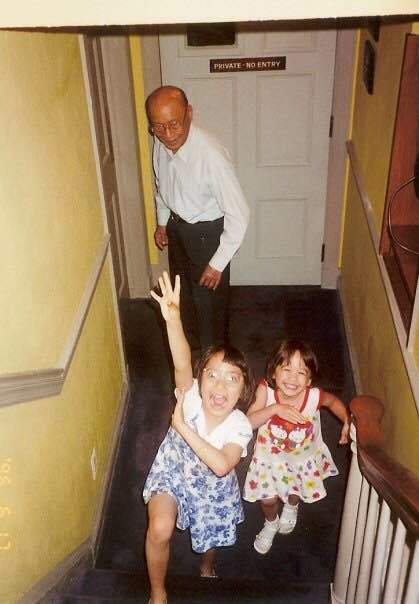 How well did you know your grandpa? Me and my sister would spend summers in Singapore so I knew him pretty well. Akong would fly us over. He was goofy, smart, spoke English really well and I remember him carrying a bible around. He passed away in 1999 when I was in elementary school. He had Parkinson. 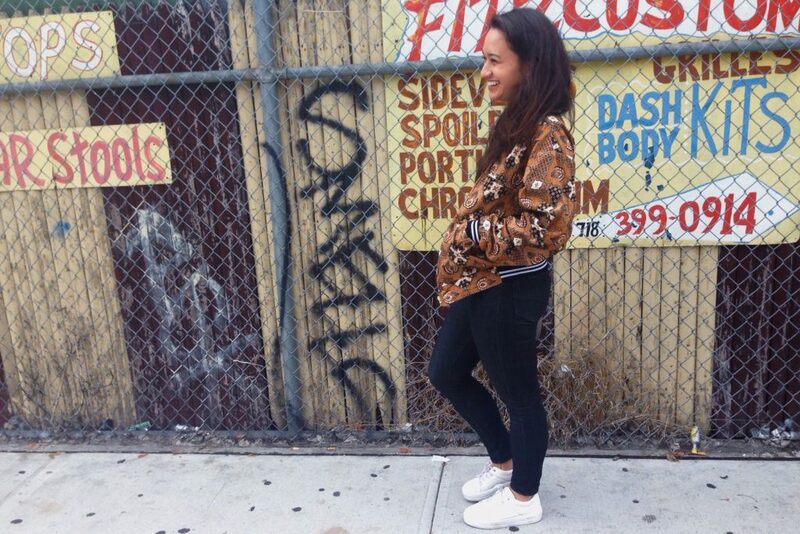 Is this jacket valuable to you? Yes. I used to feel removed from my mom’s side of the family, but after living in Singapore for a year getting to know my family better it means more to be able to wear something that belonged to him. My mom loves that I wear it! It’s also probably the only colorful piece of clothing I own because I tend to only wear black. It’s also probably the only colorful piece of clothing I own because I tend to only wear black. 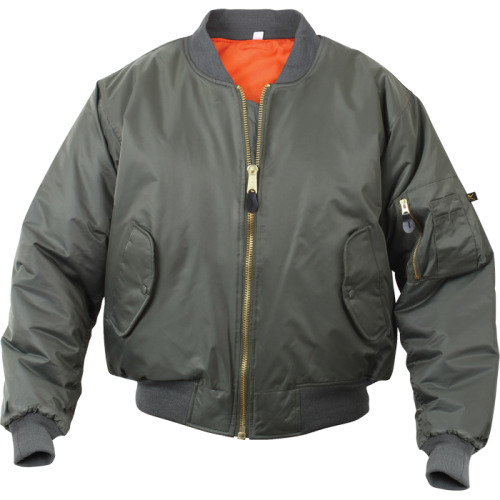 1960 Addition to the MA-1 jacket: reversibility. Indian Orange lining on the inside. 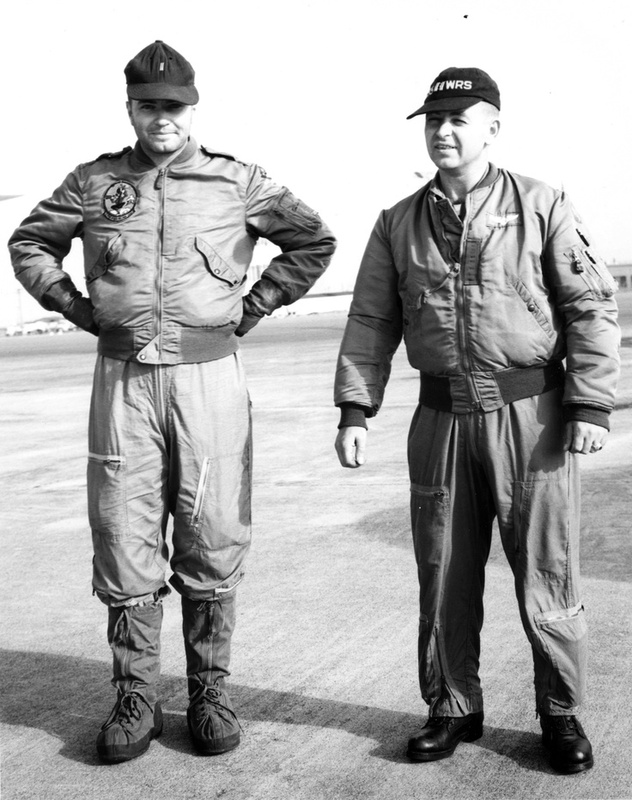 If a plane crashed, the pilot could reverse the jacket to the orange side to signal rescue crew. 2000s – now Revisited and reinterpreted by fashion designers. From high end to mainstream. The bomber jacket became an outerwear fashion staple. 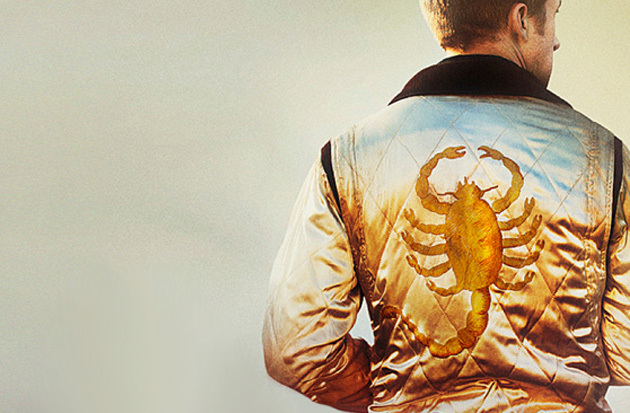 Drive, 2011. 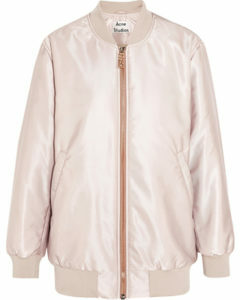 Ryan Gosling in a white satin version of a bomber jacket. 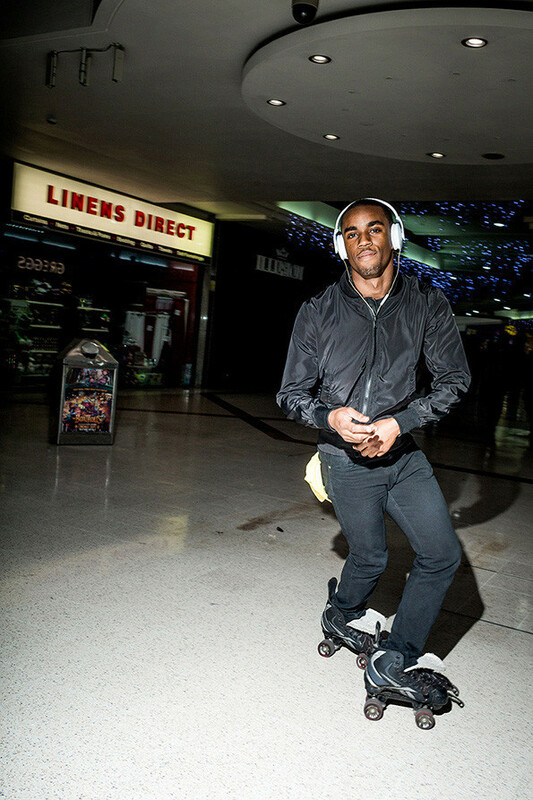 Ewen Spencer shoots London roller skaters in photo series Jam & Cheese, 2015. 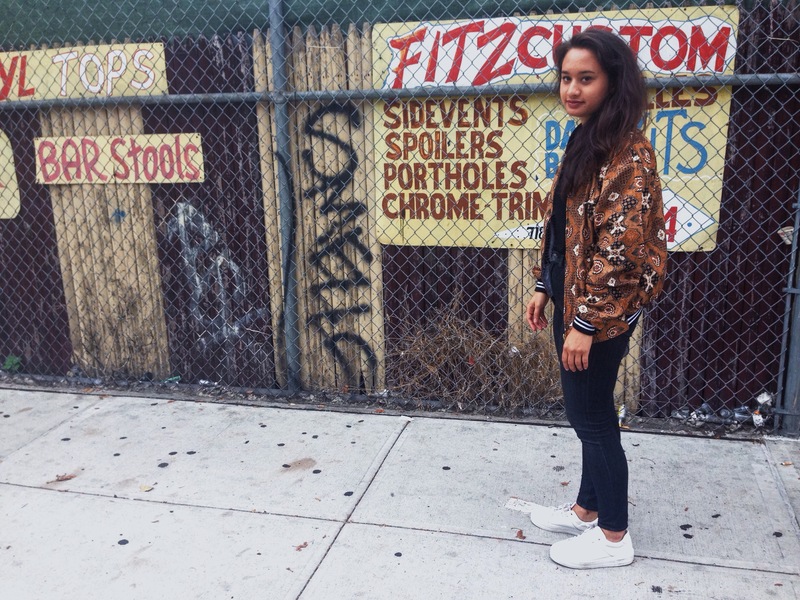 Very nice blog, Sas! Lovely jacket indeed, with a great story behind it!